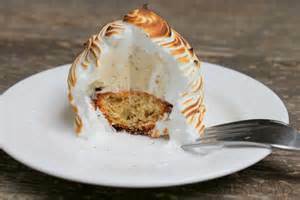 Having blogged yesterday about the apparent demise of the old classic dessert, Baked Alaska, I thought I'd share a recipe - if only to encourage its continuation. 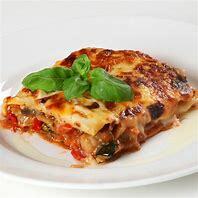 It would be sad to see the extinction to this wonderful dish. Try it! These individual desserts will impress your guests and family. Raspberries and chocolate sauce to decorate. Using a 5cm straight-sided cutter, stamp out discs from each slice of cake to make 12 discs. Using the same cutter, punch out 4 discs of ice cream and then cut each one into into 3 slices across the edge so you end up with 12 discs of ice cream. Working quickly so that the ice cream does not melt, place 4 discs of cake on a baking tray lined with parchment paper and put an ice cream disc on top. Cover the rest of the cake discs and put in the freezer to firm up for at least 30 minutes. Whisk the egg whites in a clean, dry, large bowl with a squeeze of lemon juice and the vanilla seeds until they are almost forming stiff peaks. 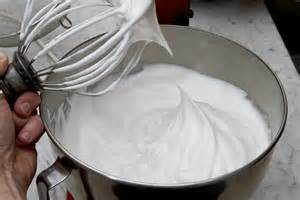 Add the sugar a tablespoon at a time, whisking until stiff and shiny after each addition. Using a piping bag, pipe the meringue from the bottom to the top of each cake or ice cream tower. Alternatively, use a knife to generously coat the outside of each tower with meringue. Place in the freezer for at least 2 hours to firm up. Pre-heat the oven to 200'C or Gas mark 6 and place the individual baked Alaska towers in the oven for 6 to 8 minutes until meringue is golden brown. Alternatively, use a blow torch. 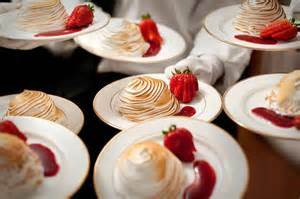 To serve, carefully lift the baked Alaska off the baking tray with a fish slice and put on plates. Decorate with raspberries and maybe some chocolate or raspberry sauce.